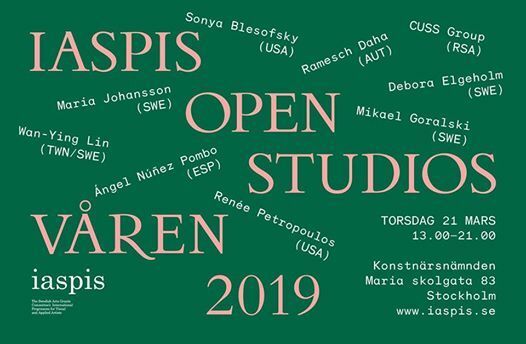 Welcome to Iaspis Open Studios in the presence of current Iaspis residency artists and designers; and enjoy our artist talks, lectures, performances and bar. The studios are open 1–9 pm. 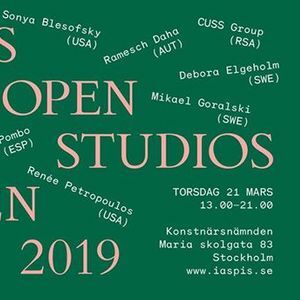 In Appstore or Google play you can download the app A guided tour to see more information about the nine different studios and the artists that will be presented on 21 March 2109. A guided tour is free and can be used in offline mode.